If "slow and steady" does indeed win the race, then you'll be the king of the trophies with this next featured car, because the only thing slower on the road is the oil that drips from your neighbor's pickup truck -- and why does he always park that thing in front of your house? Doesn't he have space in his driveway? 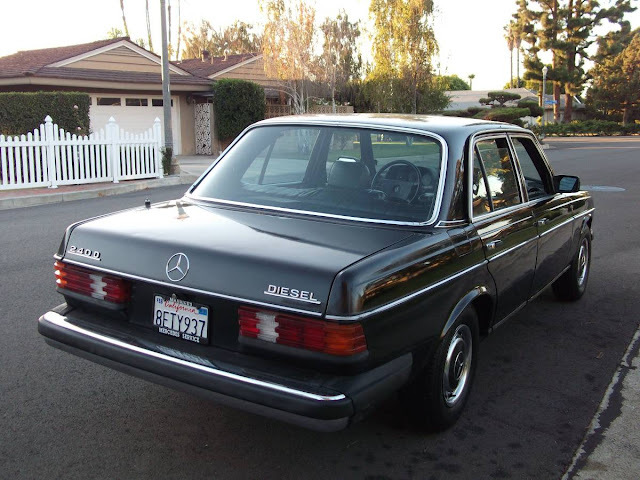 Find this 1981 Mercedes-Benz 240D offered for $4,250 in Anaheim, CA via craigslist. Tip from Rock On! 1981 Mercedes Benz 240D Classic 123 Series in original beautiful condition, manual transmission 4 speed, exterior black with interior black in very nice condition. Power windows, sun roof, doors. low miles for the year 155831. New brakes, new tires, battery, lots to list. Asking $4250 or best offer. This one. 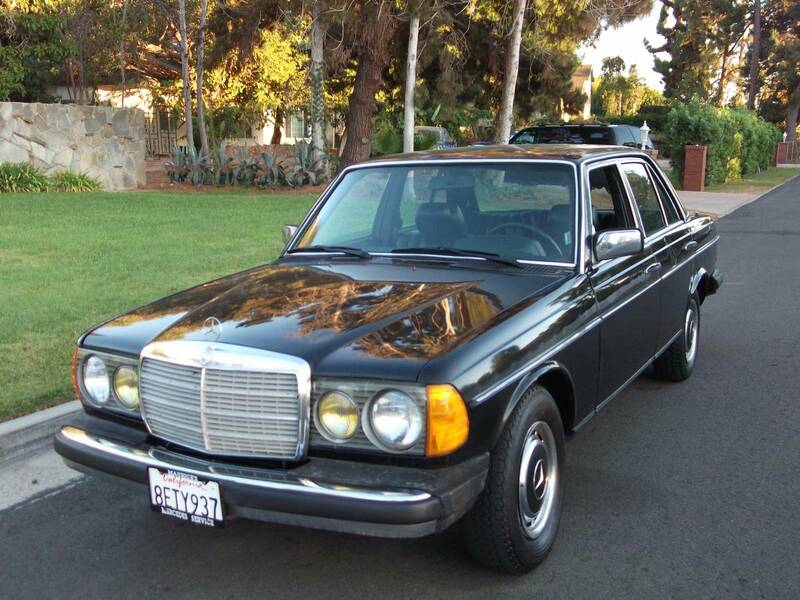 If you want a W123 Mercedes get this one. The 300D is faster, but the manual would be pretty nice. Black is the best color. Shows off the lines nicely and hides the rust holes perfectly if this moves to rust prone areas. My 300D's rust worm just could not be stopped, but she still looked good right up till the end when a sixteen year old kid back up into her trunk at a speed that didn't seem to properly correlate with reverse gear. Love these cars. At 155K, this one is young.